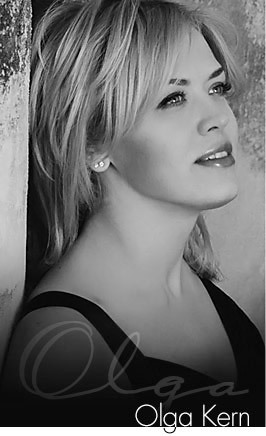 Olga Kern is well known for taking one of two first prizes in the 2001 Van Cliburn International Piano Competition. Now she is traveling about the US performing Rachmaninoff, receiving rave reviews along the way. She performed with the Richardson Symphony Orchestra in Dallas Texas in the first weekend of October with a concert full of Rachmaninoff. Steve Cantrell of the Dallas Morning News wrote this, "...her interpretations of both pieces seemed to have been modeled on Rachmaninoff's own recordings." He went on to say, "...she played boldly and brilliantly, sometimes at the price of a hard-edged tone, and both pieces got standing ovations." Ms Kern is appearing at the Boettcher Concert Hall in Denver for a Rachmaninoff Festival with the Colorado Symphony Orchestra October 16th through the 24th. Described by Maestro Kahane as a “truly a titanic pianist,” Olga Kern performs all four Rachmaninoff piano concerti in two weeks, a feat that few great pianists could undertake. The opening concert features Piano Concerto No. 1 and Symphony No. 3, as well as the CSO Chorus performing Rachmaninoff’s Three Russian Songs. Pablo Heras-Casado conducts from the UK to L.A.